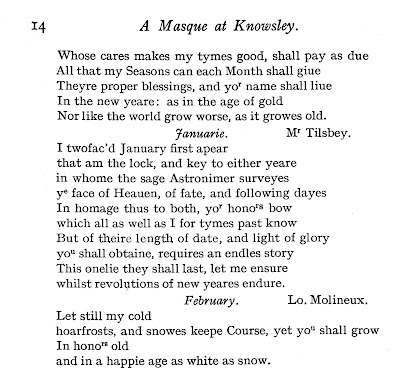 On Twelfth Night 1640/1 a masque written by Sir Thomas Salusbury was peformed before James, Lord Strange—later the seventh Earl of Derby—at Knowsley Hall. whilst revolutions of new yeares endure. David George [FN1] tentatively suggests this may be Edward Tyldesley, the younger brother of Sir Thomas Tyldesley 1612-1651. However, Edward Tyldesley died in 1621 and was buried at Cartmel Priory. There is no evidence that there was a further son who was given the same name. It is more likely is that this is Thomas Tyldesley 1612-1651—later Sir Thomas Tyldesley. 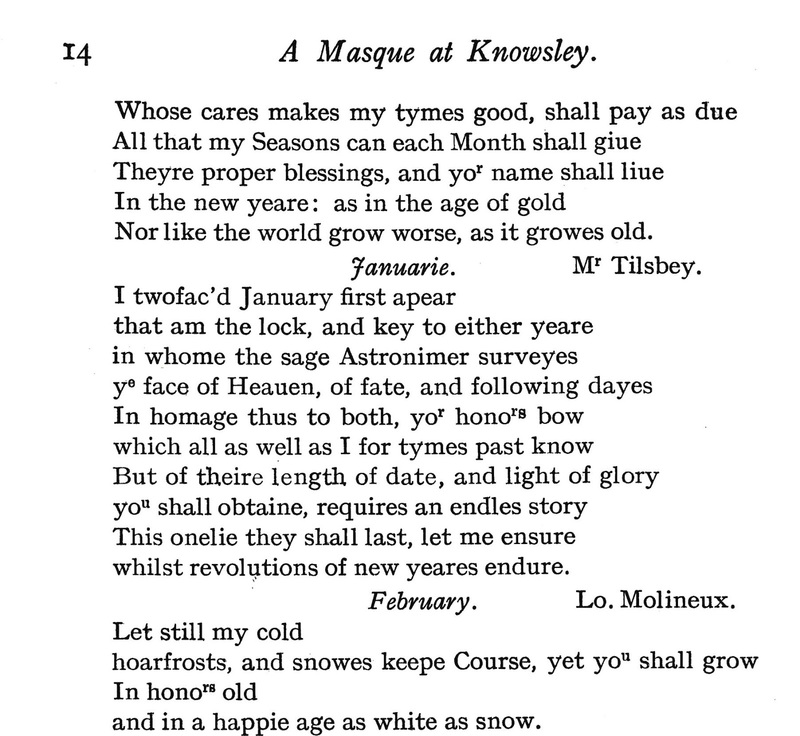 The masque therefore provides evidence of the close connection between the Strange and Tyldesley families, and the long friendship between the two men: James Strange, the seventh Earl of Derby 1607-1651 and Sir Thomas Tyldesley 1612-1651. 1. Records of Early English Drama, Lancashire, David George, 1991.